Image: Will Ospreay. Additional notes added by Dave Meltzer. Ring of Honor's three-show tour of the United Kingdom kicked off with a bang on Friday night in Liverpool with the ROH Wold Television Championship changing hands. 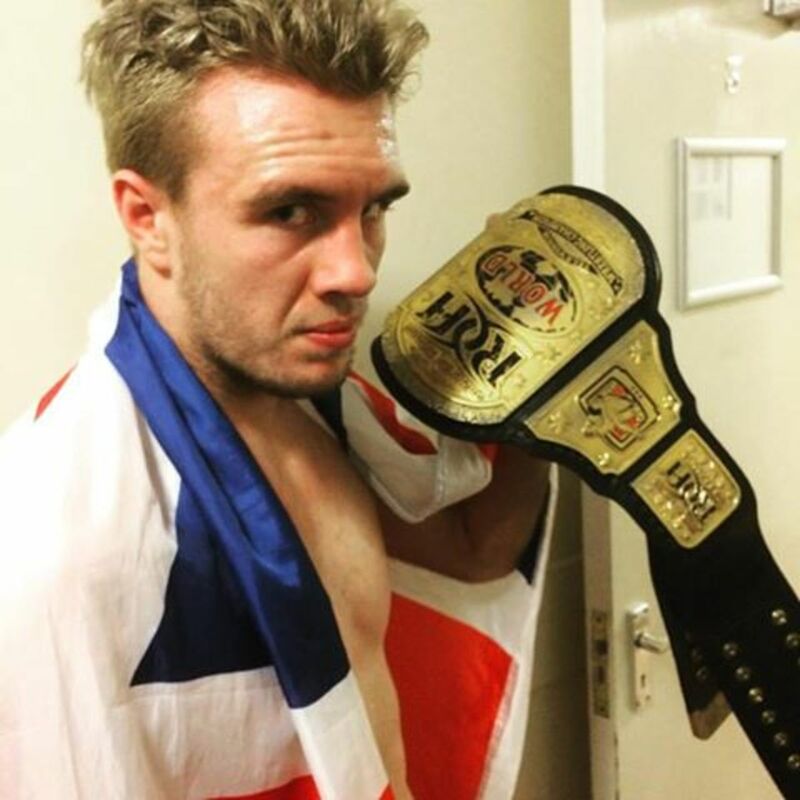 In his ROH debut, Will Ospreay captured the title in his home country by defeating Bobby Fish. ROH announced last week that Ospreay and fellow English standout Marty Scurll had signed exclusive contracts with the company. Ospreay is scheduled to team with Scurll against The Young Bucks on tomorrow's show in Leicester before the two face off in an ROH ring for the first time as Ospreay defends the TV title against Scurll in London on Sunday. Before the title switch, Fish was set to defend his title against CMLL star Dragon Lee on December 2nd at Final Battle in New York after Lee had defeated him in a proving ground match. Dave Meltzer reports that the Final Battle TV title match will now be a multiple person match involving Sunday's winner, Fish, and Lee at least. After signing with the promotion, Ospreay will be working as a regular with ROH between his New Japan tours going forward.